I finished block #8 yesterday and this is the first block that I've had to use my seam ripper more than once to realign fabrics in order to get the seams to line up correctly. There were a lot fabric pieces to cut, 28 total and 16 of those were 2 inch blocks that were each pieced individually. 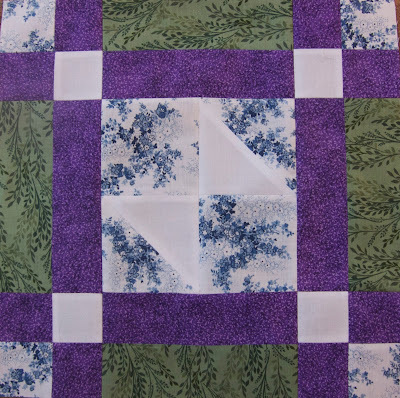 Had I looked at the instructions and the way the block was constructed more closely I think I would have opted to sew some of the fabrics into 2 inch strips and then cut them down to size. I think it would have been easier and quicker in the end. All of the larger blocks on the quilt have been completed so what remains are all the small, intricate filler blocks. It's going to get interesting, that's for sure!